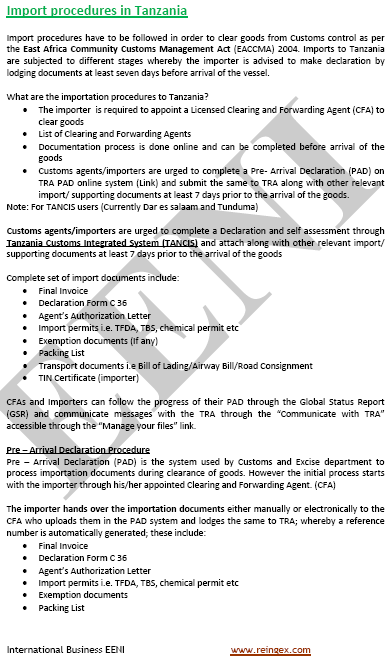 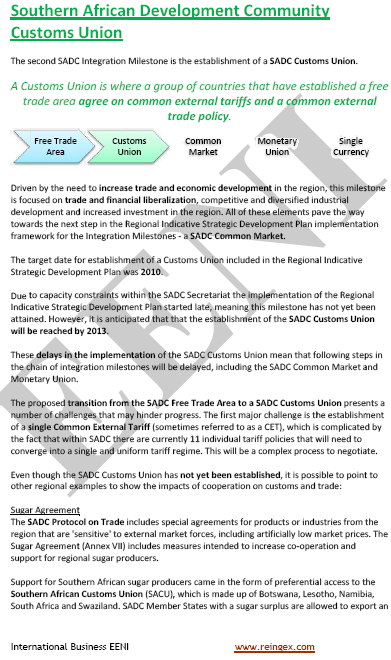 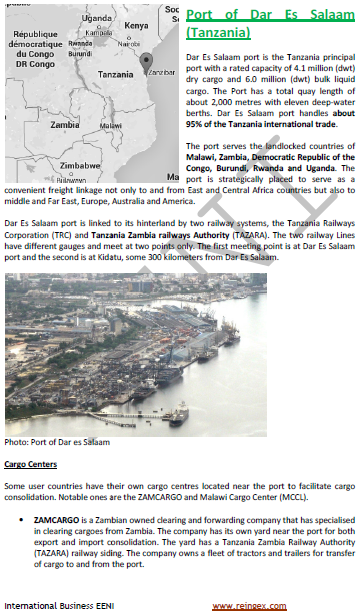 Syllabus of the Online Course (Subject): Foreign Trade and Business in Tanzania - Dar Es Salaam. 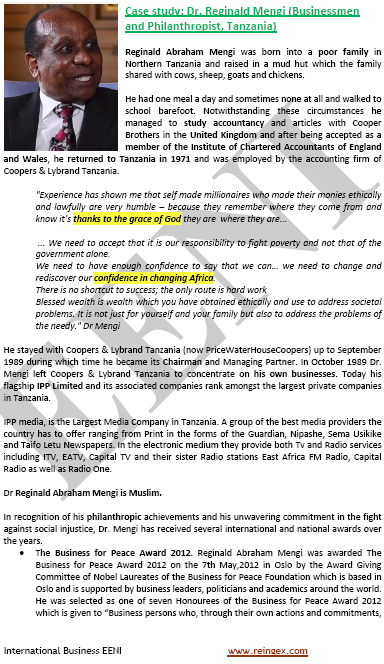 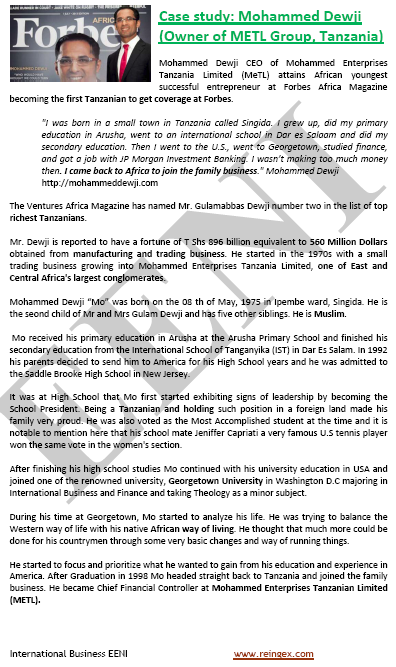 Description of the Online Course: Doing Business in Tanzania. 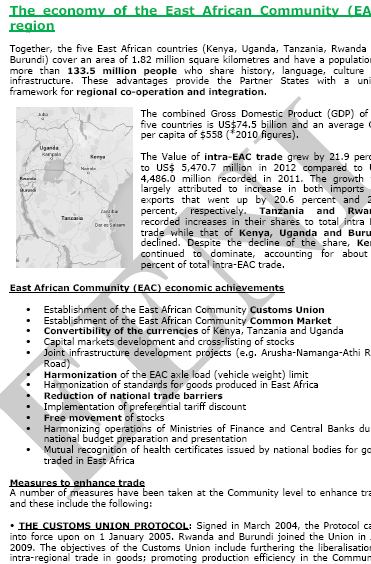 Tanzania belongs to East African Economic Area (African Civilisation). 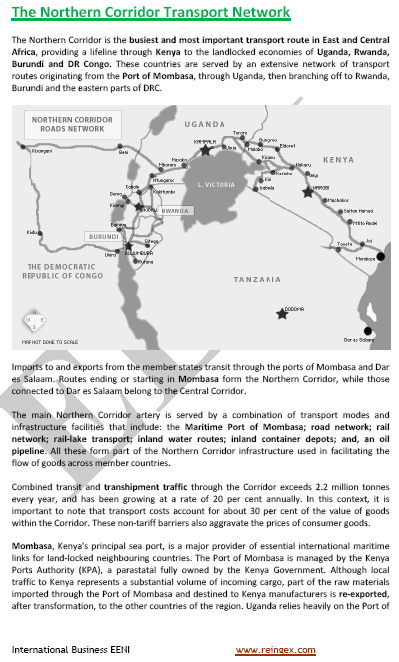 The United Republic of Tanzania is one of the most dynamic African frontier markets. 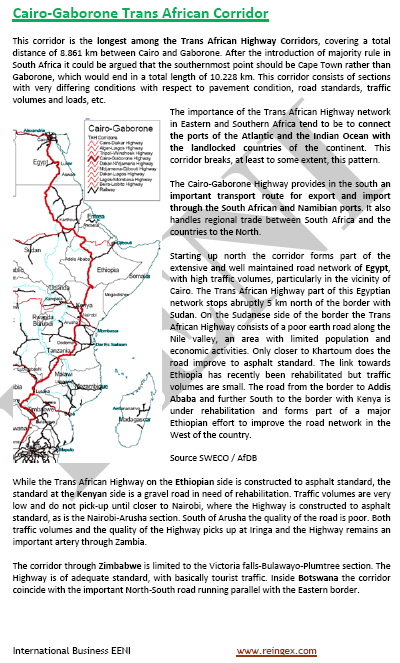 Gold, coffee, and cotton exporter. 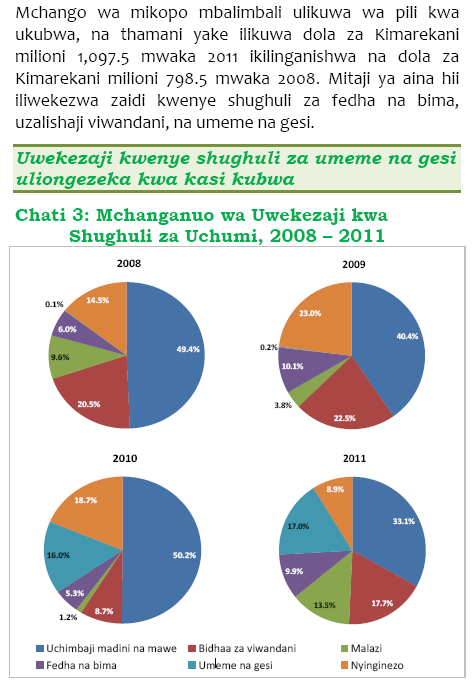 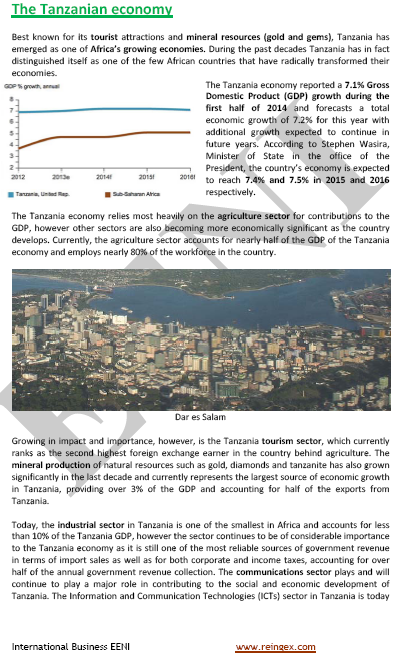 In the last eight years, Tanzania recorded an economic growth of 6%. 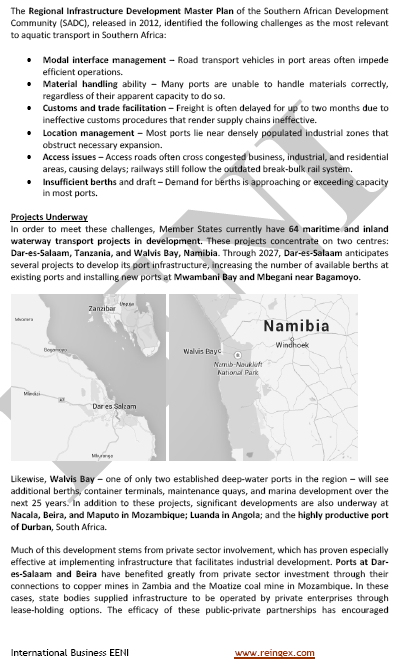 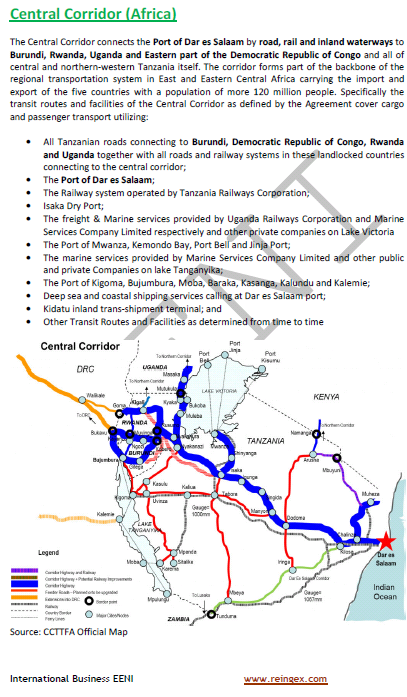 Other ports: Port of Mombasa (Kenya): Northern regions of Tanzania, Railway.